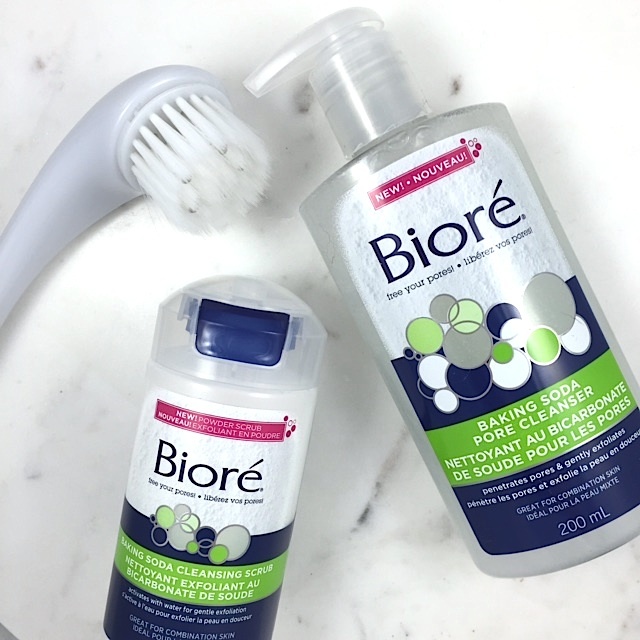 Beauty bonus: Both of these cleansers contain exfoliators to buff off dull skin. Hello, happy face! Beauty bummer: The scrub may be a bit harsh for sensitive skin with daily use. Also, the powder format can be a little annoying to use, we found a brush the easiest way to apply. Overall: We used these cleansers at the same time to get a good comparison of the two. On one half of our face, the Pore Cleanser was a familiar consistency, leaving skin clean and soft. On the other half, the Pore Scrub, which comes in a unique, dry powder formula. As stated above, we applied this product with a brush for bit of an easier application. Skin felt uber-clean — which is exactly what we look for in a face wash — so much so it was squeaky. We actually washed the other half with the scrub because we loved the feel so much. Would recommend? Neither the Pore Cleanser nor the Cleansing Scrub will disappoint, but if you have to choose just one, our pick would be the powder scrub due to the complete clean we felt post use.